There are a lot of fun, creative ways you can personalize a kitchen. It may seem like you have limited options for adding much character and charm or making a big design statement, but that’s not true. A kitchen can be as bold, artistic, chic or cozy as the rest of the home by making some clever choices. 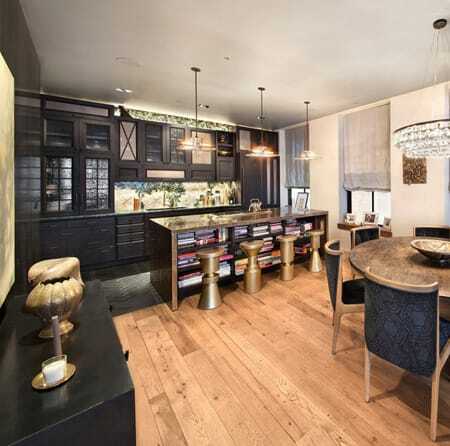 Celebrity kitchens offer some of the best ideas and inspiration for thinking outside the box. Even if you don’t have a celebrity budget, you can find a lot of great inspiration in their homes. Many of the ideas can be duplicated on a smaller budget, such as cabinet color and other intriguing design ideas. It all comes down to creativity and implementing simple design principles. 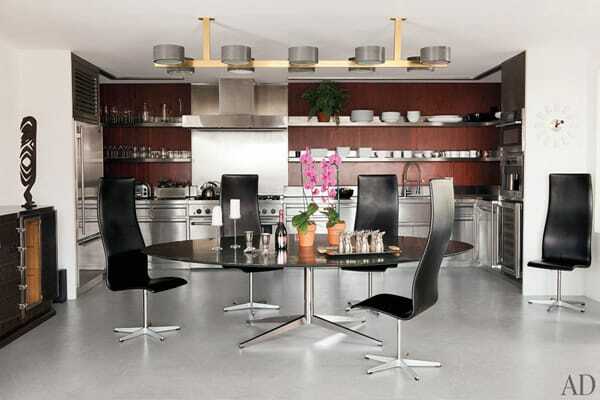 Here are 10 beautiful celebrity kitchen ideas to give you some inspiration for your own home. 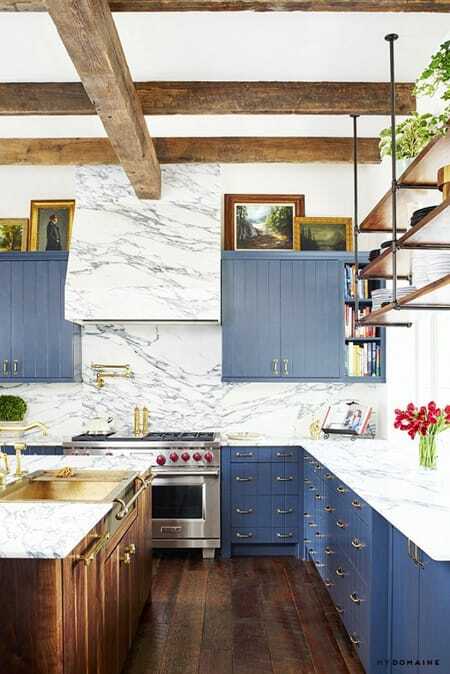 Blue cabinets make a splash in this kitchen, pairing beautifully with the eye-catching marble. How charming is this contemporary farmhouse kitchen with plenty of space to cook and eat? 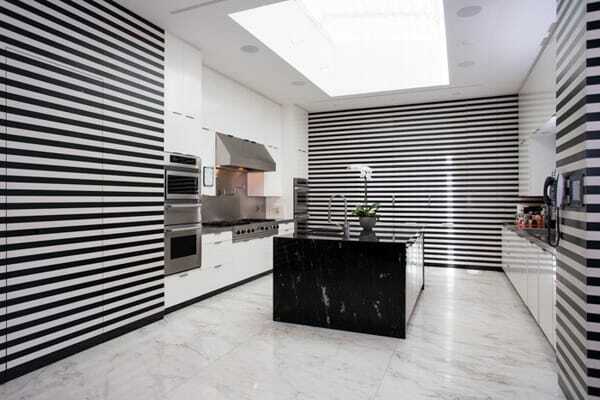 Bold black and white stripes make a fashionable statement in this modern kitchen. 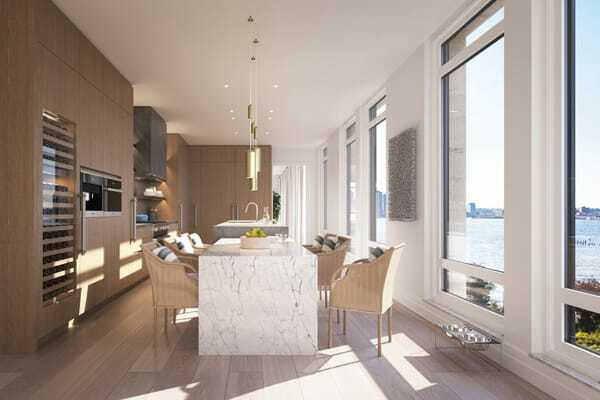 Views don’t get much better than the ones from this New York City kitchen. Here is another bold black and white kitchen, this time with a black marble island. 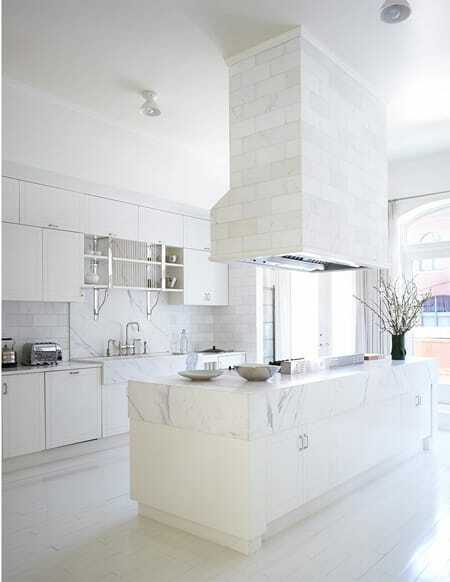 All white proves to be anything but boring thanks to the marble and wood. This kitchen has a charming vintage style with elements like the window design, chandelier, blue island, and subway tile. 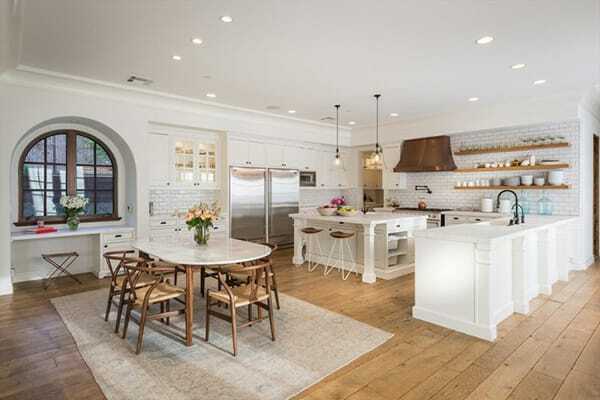 There is plenty of room to entertain in this gigantic kitchen that is also kid-friendly. All the stainless steel in this kitchen makes it ultra swanky and masculine. 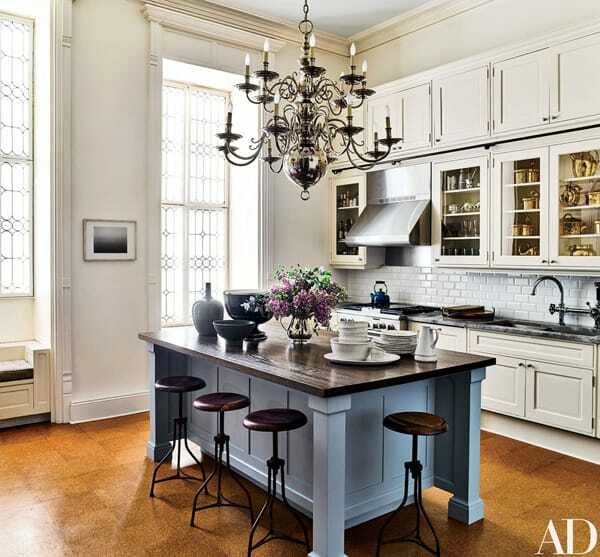 There is a wonderful mixture of eclectic charm in this cozy kitchen.